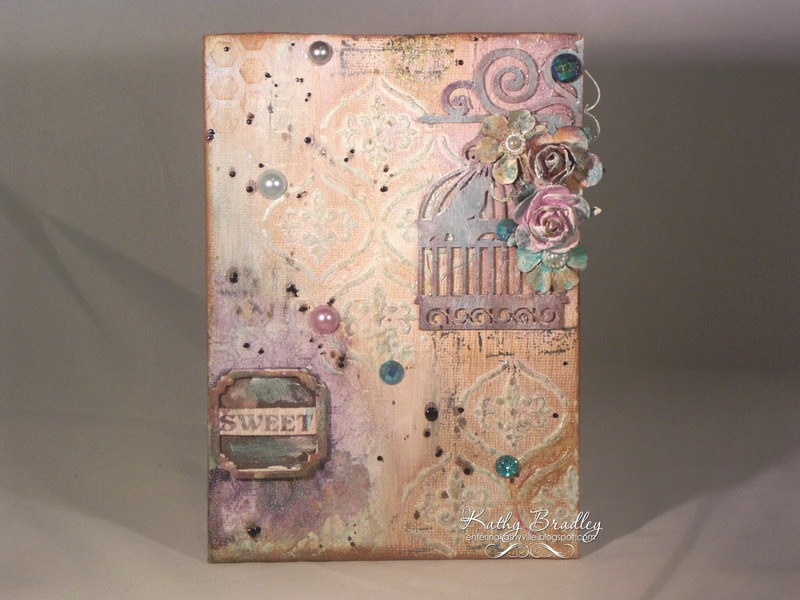 I have really come to enjoy working with mixed media and especially working with canvases, tags and scrapbook layouts. 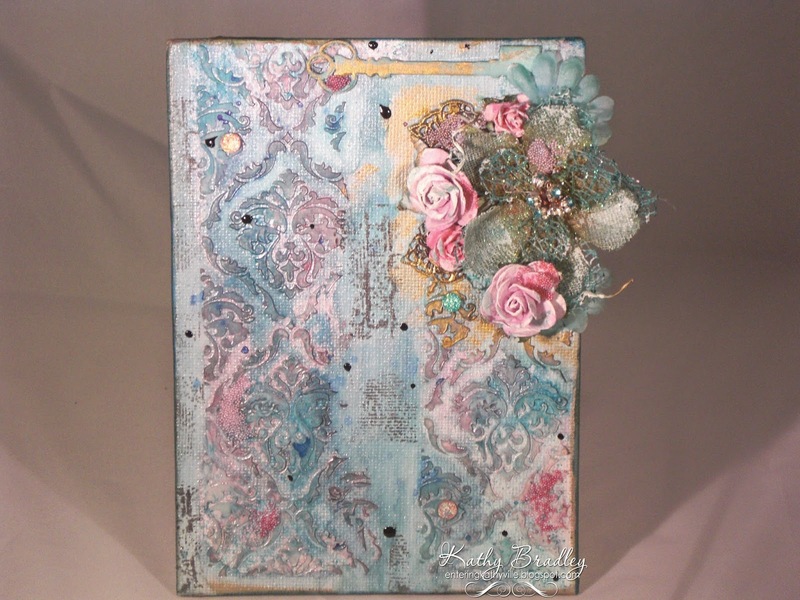 I did several scrapbook albums many years ago - but they weren't nearly so involved and they didn't use colors and mediums. I usually put recipes with my posts - but these were started mid-January and just now finished. So, hopefully, in the future, I'll start tracking my supplies once again. Tow fabulous projects Kathy! Wonderful mix of colors of texture! All the flowers add a great touch! Both cards are really beautiful. I love all the detail you have added.